This is a guest post from Rich Grant, a valued LinkedIn connection and college Career Advisor. He has a great way of explaining how to teach LinkedIn to beginners. When I meet with students – two to four each day – in my college’s career center I almost always ask, do you use LinkedIn? Most students say “yes’” but the real question we start exploring is, are you using LinkedIn effectively? I’m pleased that almost every college junior or senior I meet with has a LinkedIn profile. 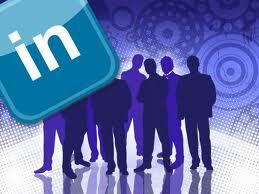 Very few students, however, have taken full advantage of the networking power of LinkedIn. This is where I come in. I love showing students the nooks and crannies of LinkedIn. I typically have about 10 – 15 minutes within a 30-minute appointment to provide students with an overview of LinkedIn. That’s just about enough time to cover the basics. So, here is my 10-minute tutorial on using LinkedIn to make connections and as a resource in a job or internship search. Defining LinkedIn. For students who have not seen LinkedIn, I tell them about the similarities to Facebook (connecting with people, posting a status and / or links, joining groups, etc) and then quickly add, But it’s NOT Facebook! I also explain that social media networking (LinkedIn, Google+, Twitter, Pinterest, and others) does not replace traditional face-to-face networking, but it complements your overall networking efforts. About the profile. I talk briefly about how to beef up your profile. Don’t set up a bare-bones profile and think you’re done. Change / expand your headline, create a summary, and describe each job with appropriate key words. Add skills and highlight projects. I talk with students about posting a professional profile photo and customizing their URL, both of which are easily found when you’re in “edit profile” mode. Using “advanced” search. Click “advanced” to the right of the search bar. On the left side, you’ll see several fields. You can search on one variable or multiple variables. I usually show students how to search on keywords, company, college (filling in the name of our college), and zip code. You can also search by industry. I run through a couple of searches to show how easy it is to identify relevant 2nd degree connections. Now what? Once you find a 2nd degree connection that you’d like to contact, you can see who your common connections are. You can get in touch with your connection or connections to facilitate getting through to the person you don’t know. In my job searches, I would typically contact my connections by phone or email. You can also message people on LinkedIn, or from the 2nd degree connection’s profile, click on the down arrow by the “In Mail” button and use the “get introduced” feature. It’s worth repeating a key point: connect only with people you know and who know you. If you identify a 2nd degree connection, it’s no use to you if your common connection is a LION in another country. Basics of networking. I would be remiss if I just showed the technical aspects of LinkedIn, so I talk with students about proper networking etiquette. As you start reaching out to your 2nddegree connections, you need to follow the same guidelines / protocol as you would if you were meeting someone at a networking event… or meeting someone new on campus. You wouldn’t meet someone for the first time, and say, nice to meet you; let’s rent an apartment together. Don’t come on strong. Build a rapport before you ask for anything. Get to know people first, and don’t put them on the spot. As you connect with new people on LinkedIn, it’s important to build your relationship with an information-seeking perspective rather than jumping in and asking about job openings. That’s a conversation killer. Most students I meet with truly can benefit from exploring career options by having conversations with people who work in those career fields (aka “informational interviewing”). Most professionals are willing to help college students who are looking into potential career fields. And by using LinkedIn properly and effectively, your connections most likely will be willing and able to help you get in touch with their connections, provided they are also connecting with people whom they know and trust. What do you show new LinkedIn users in your overview? Rich Grant has a background in business planning, freelance writing and higher education. Rich was recently the director of career services at a small four-year college in Maine and is currently filling an interim role as a career adviser and internship coordinator at a private college. He serves as the president of two professional associations. Find Rich on LinkedIn and Twitter, and become a regular visitor to his blog where he imparts his words of wisdom once or twice a week. This entry was posted in Career Search, LinkedIn and tagged College, job search, LinkedIn, LinkedIn profile, networking, online networking on November 13, 2013 by Things Career Related.